Dance helps us to appreciate the beauty of movement. 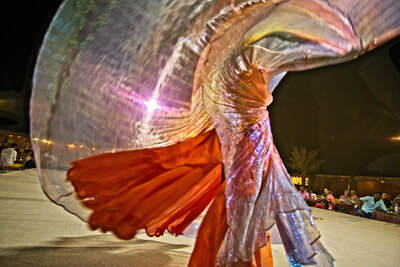 The combination of movement, gesture, costume, set design, music and lighting all work together to take you on a journey. 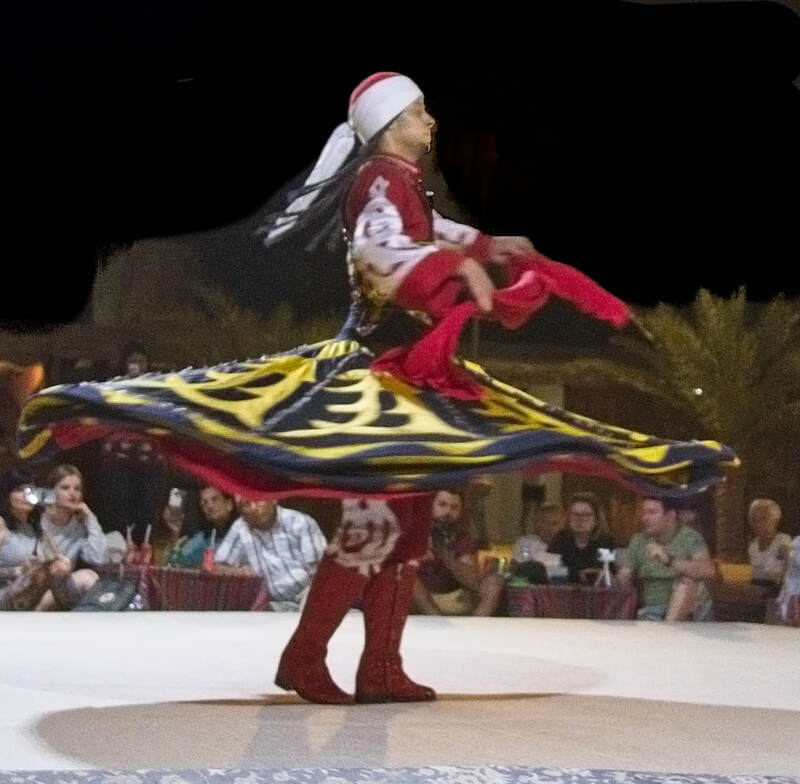 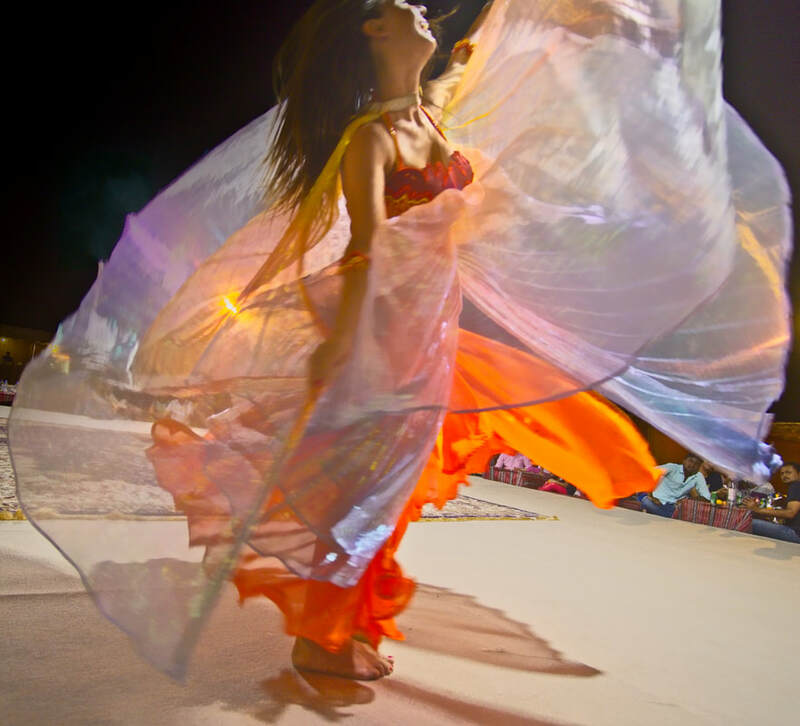 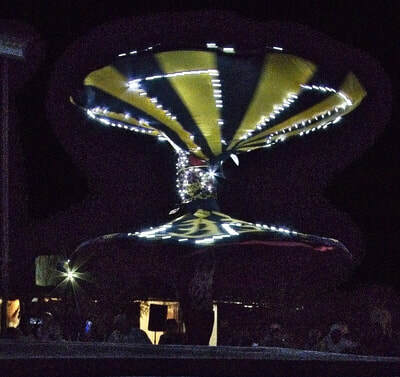 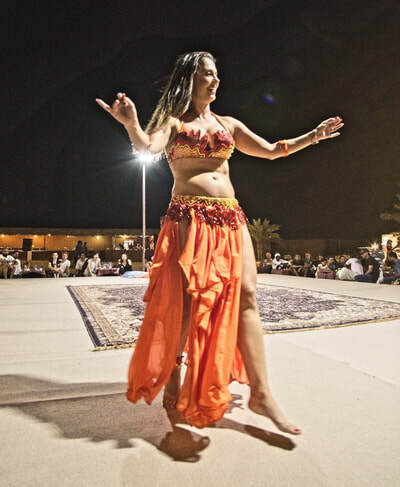 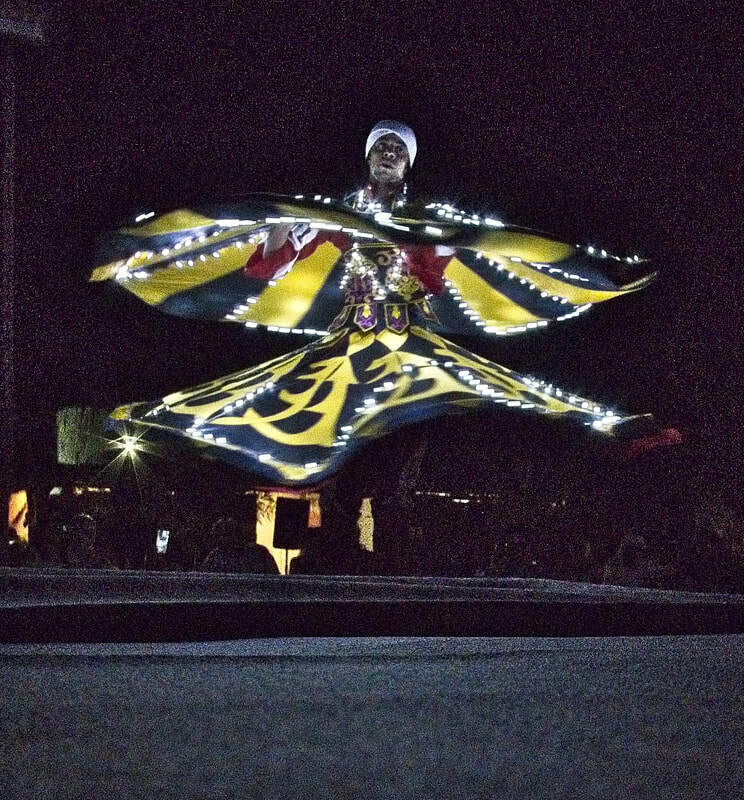 This series presents scenes from a performance of an Azerbaijani belly dancer and an Egyptian Tanoura Sufi dancer performing under the moonlight at a desert camp in Abu Dhabi in April 2018.